According to the National Eye Institute, by age 80, more than half of all Americans either have a cataract or have had cataract surgery. While cataracts are extremely common, there is good news - cataract surgery is one of the most successful surgeries performed in the United States. Tens of thousands of successful cataract surgeries have been performed right here at McFarland Eye Care by Dr. Mike McFarland, Dr. Evan Newbolt and Dr. James Hoffmann. Our surgeons are dedicated to providing you with the best care and best options for your vision. The most common symptom of cataracts is cloudy vision, which causes difficulty seeing clearly. When vision is impaired, it’s much harder to carry out our normal daily activities. Have vivid colors become faded? Does your vision become worse at night? Are you now sensitive to light and glares? If so, these may be signs of cataracts. 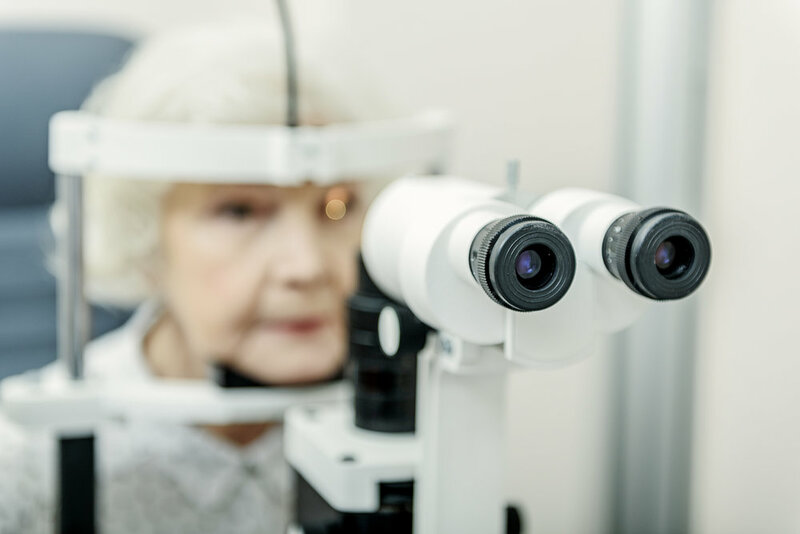 The only way to truly know what is causing your vision problems is to see one of our doctors who can diagnose the issue and offer the best treatment plan. At McFarlands, we have several options available for cataract surgery and lens replacement, one of which is “No-Stitch” cataract surgery. “No-Stitch” cataract surgery was developed by our own Dr. Mike McFarland. The first “No-Stitch” surgery in the world was performed by Dr. McFarland in Pine Bluff, Arkansas. This is now the global standard for cataract surgery. Our surgeons also offer the latest cataract surgery technology called Laser Cataract Surgery. During Laser Cataract Surgery the most difficult parts of the surgery are performed with the ease and accuracy of a laser. When it comes to cataract treatment, McFarlands provides a wide range of options to suit your lifestyle and preferences. You can trust our experience and care. Is there anything I can do to prevent cataracts? One way to protect your eyes is to wear sunglasses. Cataracts can develop for a number of reasons, but UV rays from the sun is one of the most common. Wearing protection like sunglasses and glasses with UV protection can guard your eyes from the sun’s harmful effects. Check out our blog here why sunglasses are so vital for your eye health. Plus, all sunglasses are 20% off the entire month of June! If you suspect that you already have cataracts, you don’t have wonder anymore! We are excited to announce FREE cataract screenings for the month of June at all four of our locations. In order to be eligible for a free screening, you must request an appointment through the form on this blog or by calling (501) 830-2020 and requesting a screening at the most convenient location for you.